Criminal and gross negligence cases are some of the toughest cases to defend against. There is typically a serious injury or a death of an innocent third party, and the defendant is being blamed for it. The defendants are typically first time offenders or those with little criminal history. These defendants never intended to cause harm to anyone, but the damage is done and emotions are high on all sides. With all of the emotion and tragedy surrounding these cases many defendants run the risk of not being given a fair trial. We will not allow this to happen! Hiring an experienced and aggressive defense attorney in a criminal negligence case is absolutely imperative to assure the defendant’s rights are protected. Judges, prosecutors, and family members of the victim all can be influenced by the high tensions of these cases, but the right to a fair trial must be protected at all costs. Benjamin Herbst has handled these cases in the past, and more that prepared to fight for you or a loved one in your current case. Do not speak to anyone about the case until you have consulted with an attorney. Talking to the police, family members, and insurance companies about what happened can subject you to extreme risk in your case. For a free case consultation 24 hours a day contact the firm at 410-207-2598. Under Maryland law criminal negligence has a somewhat complex and ambiguous definition. This often leads to a defendant being wrongly charged by police and even prosecutors. The law requires that each person be held to a so-called standard of care when doing such things as driving a car or boat. Criminal charges may follow if a person’s conduct grossly deviates from the standard of care that should be exercised by a reasonable person and as a result someone dies. 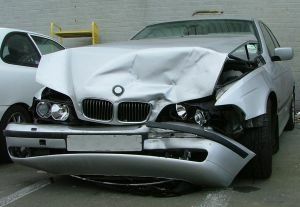 The criminal negligence law applies to performing such tasks as driving, controlling, or operating vehicles or vessels. The most common cases arise from car accidents or boat accidents but we have seen other types of cases such as recreational vehicle (RV) and motorcycle accidents. Drugs and alcohol are generally not involved in these types of cases, but in some instances that state may attempt to bring evidence of drug or alcohol consumption into evidence. The offense of criminal negligence in Maryland is a misdemeanor with a maximum penalty of 3 years in prison. Gross negligence is a similar offense, but under state law is far more severe. It is a felony with a maximum 10-year prison sentence upon conviction. Once again the definition of this crime is not entirely clear, and this offense is often wrongly charged. If a person is accused of causing the death of another by driving or operating a vehicle in a grossly negligent manner he or she can also be charged with manslaughter by vehicle or vessel. In fact, these crimes are interchangeable. It is absolutely important to understand that negligence alone is not sufficient to support a conviction for either of these charges. The state must prove something beyond negligence, and a skilled lawyer will be able to tear the state’s case apart if they don’t. Contact our office via phone or email Benjamin directly at benjamin@mdtriallawyer.com to start your defense.